A leading insurance provider was interested in establishing a long-term relationship with the children of policyholders. 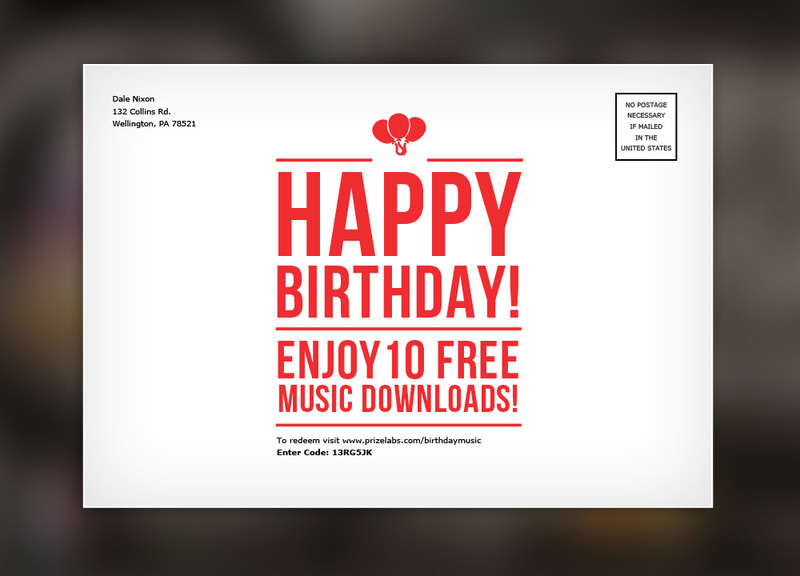 They decided to celebrate each customers' birthday by sending him or her a music download card wishing them a happy birthday in honor of their special day. 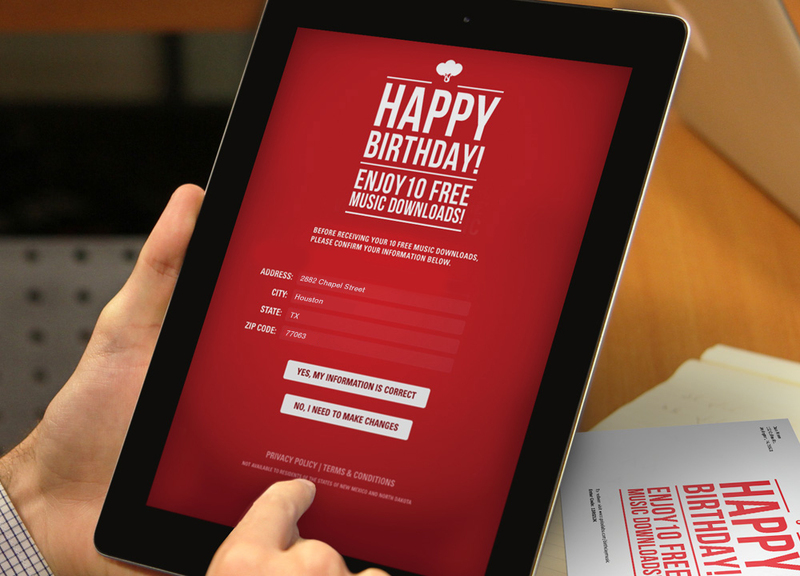 By printing codes on custom-made direct mail birthday cards, the insurance company was able to distribute high-value Music Download offerings for under $3 each, which was less than just shipping other equal-value items. When codes are printed on promotional direct mail pieces, the total cost to deliver each reward is just the price of postage. Additionally, the inclusion of high value rewards can help improve response rates. This leading insurance provider was able to acknowledge future customers in an appealing way by offering music downloads that are valuable to everyone.